All Racers need a Hero Card. If you are looking for a simple way to promote your sponsors and your race team then Hero Cards are what you need. 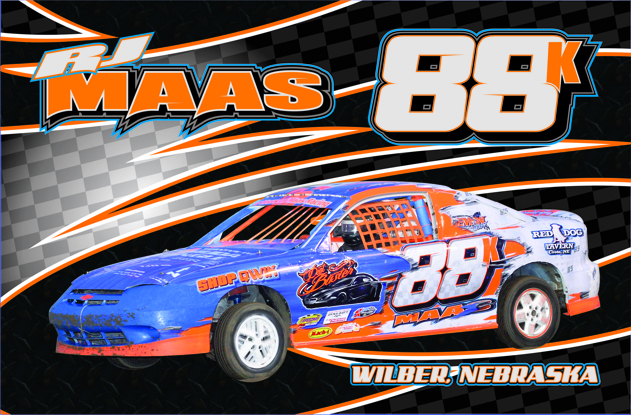 Unlike some larger companies that use templates, Slide Job Graphics provides high quality CUSTOM DESIGNED Hero Cards Unique to your race team. 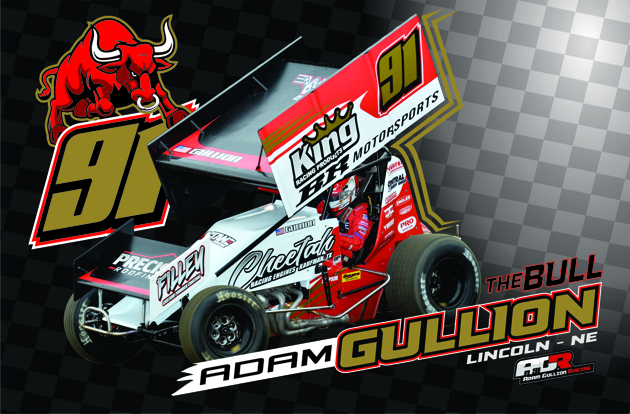 All Hero Cards are printed on 12pt premium card stock front and back in full color with pictures of your car, a driver bio and sponsors. We can even add a coupon or sponsor promotion ticket on the card leaving your fan a high quality card and coupon for your sponsor. This is a very effective way for sponsors to gauge return on investment. 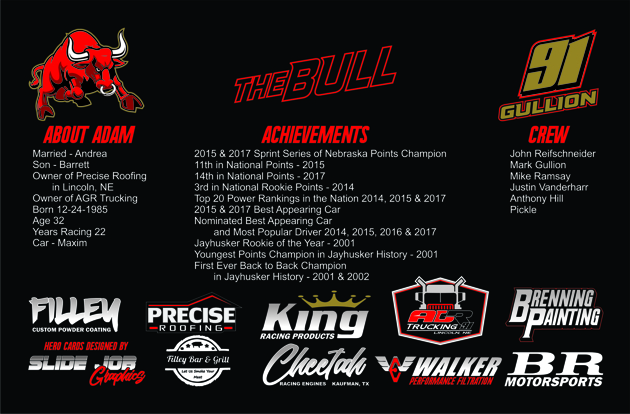 Help sponsors spread their message off the track with custom hero cards and it will not only help you retain your current sponsors, but will help you attract new ones as well. If you’re just looking to make the jump to Hero Card marketing, but short on time and money then Starter Cards are what you need. Starter Cards help you brand your professional image to your fans and your sponsors without breaking the bank. Unlike some companies that just slap the content you provide into a template and send them to the printer, Slide Job Graphics actually takes the time to give you a simple, unique, professional Hero Card that fits your budget. Although, I do require you send in some photos and a completed bio! When you are ready to get to the next level, you will want to check out the Deluxe cards. Deluxe cards still brand yourself professionally to your fans and sponsors, but now it’s just a bit more serious. Custom designed cards will not last long when fans start coming to get your autographs. Exactly what the sponsors like to see! The more fans see your car, the more they see the sponsors logo. That’s why the Deluxe cards contain sponsors you choose specially designed to flow with the card design. Just send me your photos, a completed bio and the sponsor logos you want promoted on the card and I will do the fun stuff! Are you looking for a great way to show your fans and sponsors how much you love them? Then the Ultra Fan Appreciation Cards is the way to do it. These cards incorporate a detachable coupon into the design. A great way to drive traffic to a sponsor store, increase sales and gauge their return on investment. After detaching the coupon, the fan is left with a souvenir Deluxe Hero Card. All I need from you are some photos, a completed bio, sponsor logos, and all information for the coupon (what the coupon is good for, Expiration Date, Limitations, etc.). 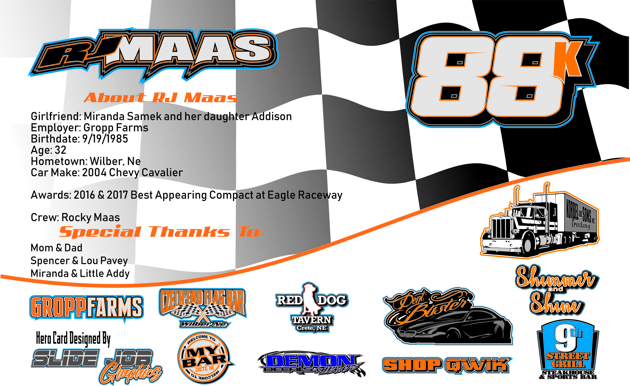 The Ultra Fan Appreciation Cards are often purchased by the sponsors and take the burden off the race team. Win! Win! printed on the back of the card. A $25 fee can be added to remove the Slide Job Graphics message, logo & website URL. Fill out the form below and you will receive a confirmation email with next steps. A 50% (or $50 minimum) deposit is required before I begin design. Once paid, you will placed in a first come first served design que. When reviewing photos that you want to use on the hero cards you MUST obtain permission from the photographer who took the photo. Have the photographer email me at jonathan.carter@enduserinnovations.com a high resolution (300 dpi minimum) copy of the image(s). If watermarks cover the car they also must be removed so I can work with the best image possible. Slide Job Grahics and End User Innovations, LLC takes copyright infringement seriously and I will not proceed until permission is provided in email from the photographer and we are not liable if you fail to get proper permission. I will email PDF proofs to you throughout the design process. Look these over and make sure everything is accurate before printing. If you have any changes to make now is the time. Once you have approved of the proof and it's sent to print the sale is final. A final bill will be sent and must be paid in full prior to shipment of the Hero Cards. I will send all orders via USPS Priority Mail for free. Expedited shipping is at your expense. Please complete the form below for Hero Card orders and Hero Card inquiries. For other inquiries please use our main contact form.